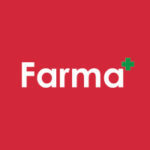 In what may be the most exciting news to come out of the new burgeoning cannabis industry in, well, ever, Farma helped facilitate the creation of an actual cannabis pizza. What could possibly be better than the glorious combination of one of the greatest plants of all time, with its natural food counterpart? Seriously, can you think of anything? Because I can’t. Join us and the folks with Vice as we follow the journey of the pot pizza’s creation, from its inception to the culmination of its enjoyment. Mmmm, indeed.